I SUPPOSE that no one will be so hardy as to deny that a given environment affects different people in markedly different ways. Most of us know those who become chilled and so devitalized that their lips begin to turn blue after a few hours on the seashore. And we know other people who find no better tonic than the cold salt sea wind. Those who suffer asthma here along the coast are advised to move to the high, dry desert of Arizona, and those of the desert region suffering from the same complaint frequently get relief by a journey to the coast. A Colorado rheumatism, likewise, sometimes disappears when the patient gets to sea level, and a sea level rheumatism sometimes vanishes in the high mountains of Colorado. People are different in the makeup of their astral bodies, and consequently do not offer the same response to identical external conditions. Many of your own responses to conditions are so easily noted that they require no more than mention. You know it if wearing a wool garment next the skin causes the appearance of a rash, and you probably have learned, long before now, that certain articles of diet that other people eat with impunity, do not agree with you. But there are numerous other subtle surrounding conditions that are well worth some attention. And of quite as much importance as knowing that they should be given some attention, is to determine just how much attention their importance warrants. To burden ourselves needlessly with a multitude of observances is so to expend our energies upon unessentials that we have none left with which to meet the real and vital issues of life. The most important of all imponderable forces to influence our lives are our own thoughts. But because in other courses I have discussed their use and influence in great detail, here I shall consider only their employment to recondition discordant thought cells. Next to our own thoughts as having great power to influence us I consider astrological forces. As third in power to affect our lives I should place the thoughts of other people, our acquaintances and immediate associates in particular. Fourth in importance, I believe, are the objects, animate and inanimate, of our environment. And finally, as the fifth, and under ordinary circumstances the least important power in most persons lives, are to be considered entities and intelligences of the astral world. This means, in its practical application, that the person with a limited amount of energy to devote to such things should use about one-half of it learning intelligently to direct his own thoughts. If he neglects this, the aid he gets from other imponderable forces will be correspondingly small; but if he gives time in full measure to cultivating proper mental attitudes, the aid he gets from other imponderable forces will be very great. 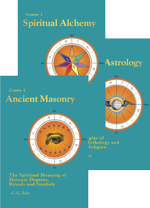 Of the energy at his command to devote to occult pursuits, he will do well to devote about one-fourth of the total to learning about himself astrologically. One-eighth of the total can advantageously be devoted to a consideration of other people’s thoughts as influencing agents. Ordinarily he is warranted in devoting perhaps but one-sixteenth of the energy set aside for occult pursuits in reference to selecting suitable objects, or situations, for his environment. 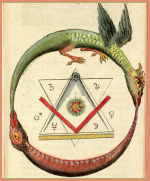 And there is then left to him, of the total devoted to occult pursuits, another one-sixteenth which he can use in the study of, and adjustments to, all other imponderable forces, including the spirits of the dead, and various denizens of the astral world. Now I am well aware that this ratio of one-half, one-fourth, one-eighth, one-sixteenth, one-sixteenth is quite arbitrary, and certainly would not be applicable in all instances. But it seems to me better to have even such an arbitrary scale, open as it is to controversy, than to have no gauge at all. New thought enthusiasts and metaphysicians will deem that one-half is far too small a portion to allow for the development of proper thinking. The astrological fan will be sure that astrology should receive even more attention than thought. And the spiritualist will feel slighted to note that the influences from the next life are allocated an importance in our everyday affairs that warrants only one-sixteenth of our energy spent in occult pursuits being devoted to understanding and using them. I shall find no fault with anyone who thinks I have underrated or overrated the importance of some particular type of imponderable force. But human time and energy are limited, and there is great need of some standard of values, so that they will not, in ignorance, be frittered away. As a practical occultist, interested in all imponderable forces, and somewhat familiar with the various types, I have attempted to give a ratio based upon my experience of the relative importance of each in the average run of people’s lives. Some may be surprised that I advocate so much energy spent in learning about thoughts and emotions and in directing them. But the object of the study of imponderable forces is to learn how to take advantage of such of them as coincide with our ambitions, and how to escape the obstructing influence of those which oppose us. In some few instances this object can be attained through knowledge alone. But mostly, in spite of mere knowledge of their existence and just what they are doing, imponderable forces reach and influence us. To prevent them reaching us we must be able to tune in on some other wave frequency; and we can only do this through properly directed thoughts and emotions. And there are others, such as astrological forces, which, due to responsive thought cells within our finer body, we cannot tune off and break the connection. They reach us, wherever we are, and in spite of ourselves. Yet even so, we can prevent them, in large measure, from influencing us in adverse ways. We can do this in a minor extent through intelligent control of our environment. But really to control them and make them serve our purpose, we must be able to change the desires of the thought cells they reach so that these will use the energies thus acquired in activities which are beneficial. This we can do only by cultivating proper mental and emotional attitudes. Even where planetary influences are concerned, while not being able completely to tune off the energies from birth chart or major-progressed aspects, we can tune the nervous system, through intense feeling of a selected type to pick up, radio fashion, other more harmonious planetary energies in great volume; and these will then be fed to all the thought cells reached by any major-progressed aspect then operative. Even as Rallying Forces not consciously selected often change the desires of the thought cells and cause them to bring events into the life of a fortune or misfortune not indicated by the progressed aspect directly reaching them, so Rallying Forces also can be deliberately utilized to change thought-cell desires, and the consequent event attracted, in the direction selected. But in addition to tuning in on some more harmonious energy, the desires of the thought cells may also be altered in the direction selected through either Conversion or the use of a proper Mental Antidote. As the feeling of pleasure or pain at the time these thought cells were formed is entirely responsible for their desires before they are given unusual activity through the energy fed into them by a progressed aspect or by the character vibrations of an object or some other person’s thoughts, their desires can be altered in the direction of harmony by adding pleasant feeling energy to them in as much intensity and volume as possible. This process does not add thought elements of a different planetary family to the thought cells, but it does rearrange in a more harmonious compound the thought elements of which they already are composed. Rallying Forces change the desires of the thought cells by delivering to them energies of a selected type. Conversion changes the desires of the thought cells by a rearrangement of the thought elements in the compound of which they are formed. A third way of changing thought-cell desires is through the use of Mental Antidotes. When the two planets which are mental antidotes do not heavily afflict each other in the chart of birth, it is usually easier to substitute thoughts and feelings ruled by the antidote planet, than merely to think constructive thoughts and have constructive feelings ruled by the planet whose thought cells are to be made more harmonious. When thinking and experiences of the nature of the antidote are substituted for the old type of habitual thinking and feeling, there is apt to be less resistance to developing pleasant thoughts. If Mars is heavily afflicted at birth, for instance, it may be difficult to think of the departments of life it rules in terms of initiative and constructive endeavor without at the same time thinking of the irritation, anger and antagonism which has been experienced in the past relative to the events and conditions of these departments of life. It may be easier, in reconditioning the Mars thought cells more harmoniously, to substitute for belligerent and destructive thoughts their mental antidote, constructive thoughts and feelings about domestic life and assisting the weak and helpless, ruled by the Moon. Unseen energies ruled by the Sun need no mental antidote, and any constructive thoughts of the other planetary families added to Sun thought cells are beneficial to them. Constructive thoughts ruled by the Moon or Pluto are the mental antidote for Mars energies, and constructive Mars thoughts are the mental antidote for Moon or Pluto energies. Constructive thoughts ruled by Jupiter are the mental antidote for Mercury or Uranus energies, and constructive Mercury thoughts are the mental antidote for Jupiter energies. Constructive thoughts ruled by Venus or Neptune are the mental antidote for Saturn energies, and constructive Saturn thoughts are the mental antidote for Venus or Neptune energies. In applying mental antidotes, only the constructive thoughts and feelings of the antidote should be used. They should be substituted for thoughts which arise belonging to the planetary family of the thought cells to be reconditioned, and used whenever there is close association with the thoughts of others, or with an environment, belonging to this planetary family, and whenever there is a progressed aspect involving the indicated planet. The most important factor in employing either conversion or mental antidotes is to give the thoughts substituted for those undesirable as high a harmonious emotional content as possible. And at first to make them thus highly pleasurable it may be necessary to associate them with as many other pleasant desires as possible. Thus at first artificially conditioned by association, in not too long a time these new thoughts will develop a highly pleasant content of their own. I place so much stress upon the cultivation of thoughts and emotions because they are the most effective agents for the control of all the other types of imponderable forces. Let us understand that a thought radiates from the thinker’s mind, and that a given thought has a definite vibratory rate. The nature of the thought determines its rate. Thought vibrations may sound either on a higher or a lower decave (an interval of ten), just as a tone may be sounded on a higher or a lower octave (an interval of eight). Did we but perceive the thoughts of any individual as completely as we hear the tones of his voice, the vibratory rates of the thoughts could be charted with the aid of a staff similar to that used in the notation of music. Each distinct thought has its own vibratory tone within the decave; but those of the next decave just above the staff, because of a responsiveness somewhat similar to overtone effects in music, up to and including note 22, have individual qualities that are repeated in still higher decaves. This is not the place to enter into a technical discussion of how the lower decaves of thought are repeated in higher decaves, so that the same key can be sounded on upper or on lower frequency levels. But it will assist in understanding imponderable forces if you realize that a train of thoughts is just so many thought tones. If we could discern them properly we could set them down on a piece of paper, and the chart so formed would look not so dissimilar to a musical composition. Each separate thought would have its own place on, or above, the staff, and it would be related to other thoughts that came before and that followed after, according to sequence. Such a train of thoughts, if it were clear cut, would have its own dominant key. We might designate this key after the name of the thought note corresponding to it. If the thought train, or composition, revolves about accountancy, we know its key is 1, corresponding to the planet Mercury. If the thought train revolves about war and strife, we know its key is 16, corresponding to the planet Mars. If the dominant note is despondency and discouragement, we know the key is 15, corresponding to Saturn. If hope and faith are the controlling elements, we know the key is 17, corresponding to the zodiacal sign Gemini. Someday, I believe, an apparatus will be constructed delicate enough to record thought waves. With such a device it will be possible to tabulate the vibratory frequency of each thought as it is radiated from the thinker’s mind. But at the present time there is no such machine. Consequently, to chart the tones of a complex series of thoughts so that each shall occupy its proper place in a charted thought composition is as yet beyond us. But at least we can, through a quick analysis of the feeling and desires associated with it, determine the key of any clear cut thought composition of our own. Other people about us also are having thoughts and these thoughts often are radiated to us. And because we devote attention to our own thoughts, and to the thoughts of others, as imponderable forces capable of influencing us, the question next arises as to which are the more important and deserving of attention and energy. In many connections this same problem will arise. And while there are unusual circumstances that alter this, and while there are plenty of exceptions to it, under normal circumstances the thoughts of the individual about himself are far more powerful in affecting his life than those coming to him from without. Even the thoughts of others more frequently influence him markedly through causing him to change his own thoughts and opinions than through those more direct alterations of his finer body that thought impacts tend undoubtedly to produce. We all entertain ideas about ourselves. We all habitually entertain certain types of thought, and habitually experience certain kinds of emotional states. At the same time our associates may hold quite different opinions, and more or less constantly bombard us with the emotional quality they feel thus thinking of us. But unless we are unduly negative, their influence thus exerted is far less important in molding our destiny than what we ourselves think and feel. Of the thoughts with which we are associated, abstractions, such as names and numbers, are the least apt to arouse emotions in those thinking them. Their effect, therefore, upon the individual with whom associated is more often than not entirely determined by their own essential vibratory rate, uninfluenced by incidental polarities. Thoughts which are less abstract usually have added to them the feeling of pleasure or pain that arises from past experience with similar objects or situations. And some people who think of a person by name, also may experience a feeling of attraction or of dislike due to previous encounters with the person to whom the name belongs. This is due to the incidental association of the name, and not to its own vibratory rate. But perhaps the majority who think of the same name will feel no emotional response whatever. This incidental polarity of a thought, the feeling of pleasure or pain associated with it, determines the manner in which it unites into combination with other thought elements within the finer form. But it does not change the essential key of the thought. The key, or essential vibratory rate of the thought, determines what group of thought cells within the finer body will be given greater activity by the thought, and therefore what type of external conditions will be attracted. When people think of us by a name, whether that name is spoken, whether it is a matter of reading our signature at the bottom of a letter, or merely that our name flashes into their minds, they usually, at least vaguely, visualize us. Or if they do not know what we look like, the reading of a letter from us serves the similar purpose of focusing their minds so that their thoughts travel directly to us. While speaking or reading our name, they think about us, either clearly or vaguely, and the vibratory rate of the name is radiated from their minds to our own. Thus we receive a thought wave, coming directly, because at the moment their minds are trained on us. And whatever the vibratory rate of the name thus wafted in our direction, the impact of it stirs up within our finer body those thought cells having a similar vibratory key. But of even more importance than the name others know us by, is the name by which we think of ourselves. Under ordinary circumstances the thought treatments we give ourselves, although we may never have considered them thought treatments, are more important than any thought treatments from others. Therefore, the name by which we think of ourselves is usually more important than the name used for us by someone else. And while some may consistently think of themselves by the designation applied to them by familiar associates, one who is called upon to sign his name to letters, checks, and such papers, frequently tends to acquire the habit of thinking of himself by this signature. And those who read this signature, at the time they read it certainly think of him by this name. Under such circumstances it would seem, then, that the name as thus signed probably would be more powerful as influencing him than any other designation. It would be more powerful because more thought energy of the vibratory rate of this particular signature would reach him than that of the rate of any other name. Yet other names also would have some effect. If he is a boy going to school and his schoolmates always call him Dan, and perhaps few ever think of the balance of his name, and some who call him Dan do not even know all his name, he is bombarded, by the thoughts of these schoolmates, with the vibratory rate of Dan, which happens to be 19, corresponding to the zodiacal sign Leo. But his mother may always think of him as Danny. Thus she gives him another vibratory rate. And his father may call him, and consider him only as Daniel. This gives him still another rate to absorb or contend with. Yet, because the people who think of him by these different names are not equal in the power with which they project their thoughts, nor do they think of him with equal frequency, these names have different importance as influences in his life. Nor do I think the name with which he was christened has much influence over him, unless he continues to use it and be known by it. Nicknames, pen names and such other designations as we may be known by have a certain amount of influence. How much influence can be approximated by an estimate of how often each is used and whom the people are who think them. But how much energy we are warranted in spending getting others to call us by a name that is keyed to the vibration that within ourselves we know to be harmoniously organized and attractive to the things we want, is an open question. I do believe, however, that it is well worth whatever trouble is involved to select a signature, which usually can be done by using initials for the middle name or making some slight alteration in the given name, that has a key vibration corresponding to fortunate influences in the life. This opens the whole subject of sympathies and antipathies. And much confusion may readily arise in connection with this subject unless we carefully distinguish between vibratory affinity and our own likes, and between the sympathetic vibration of some external energy toward some particular group of thought cells within ourselves, and the vibration of that energy as affecting our welfare. We will come back to names and numbers; but to make this matter clear, for the moment let us consider birthstones. A birthstone, according to the prevalent opinion is a stone or gem ruled by the same zodiacal sign occupied by the Sun in the birth chart. Wearing such a gem, because it has the same vibratory rate as the sun sign, has considerable influence. A live gem has a rather potent vibratory rate, and because of the law of affinity, it vibrates in sympathy with the thought cells in our astral body ruled by the same zodiacal sign. That is, wearing a birthstone adds activity to the section of our astral body in which the Sun was located at our birth. Let us suppose now that a birth chart has the Sun in the 2nd house. The 2nd house rules money, and the chief influence of increasing the energy of the thought cells in the astral body ruled by the sign in which the Sun is located, in this case, is upon finances. Furthermore, whether by associating with a name, a number, animate object, inanimate object, human acquaintance, or thoughts, the activity of the sun sign is accentuated and increased; by just so much as it is thus accentuated does it increase the power of the money thought cells in the life. It does so because the astral radiation’s of the birthstone or other object or a thought ruled by the birth sign adds energy to, and increases the activity of, the thought cells in the finer form whose desires relate to money. It will be seen, therefore, that the common idea of birthstones is really founded upon the law of affinity. Yet the most important factor has so far been omitted from consideration. That factor is whether or not increasing the sun-sign vibration will benefit or injure the particular individual. Suppose, for instance, in the birth chart both Mars and Saturn are in the same sign with the Sun, and not only conjunction the Sun, but all are square Uranus. To accentuate the thought cells in the astral body occupied by the Sun means also to accentuate Saturn thought cells and Mars thought cells, and to bring out the influence of the conjunction and the discord of the aspect from Uranus. For if you accentuate in the astral body the vibration of a sign, you at the same time accentuate the activity of all the thought cells mapped by the sign; even as when you agitate a certain pool of water you at the same time agitate every boat or stick floating on its surface. In this case the money section of the astral body would be given much added activity; but that activity would all be discordant. Increasing the activity of its thought cells would attract the loss of money. In fact, in this case, the birthstone, or friends, thoughts, names, numbers, locations, or any other things that would increase the activity of the thought cells ruled by the birth sign would be the very worst possible vibratory influence that could be selected. 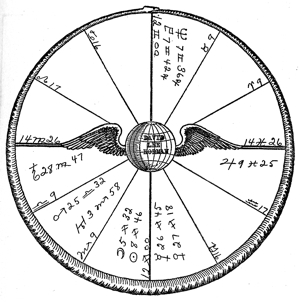 But suppose, in this same birth chart, the Moon made a trine aspect to the Sun, Mars and Saturn, and was unafflicted. Because there is a harmonious aerial leading from it to the section of the astral body that influence money, the vibratory rate of the Moon, then, becomes the best influence in the life for money. 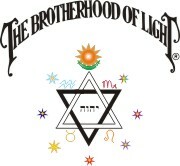 Its energy can be increased in either of two ways: If there are no afflicted planets in the sign it occupies, and if the ruler of this sign is not heavily afflicted, the energy of the Moon vibration may be increased by a gem, thoughts, friends, names, numbers, etc., ruled by this sign. Whatever increases the thought-cell activity of the sign, however, increases the thought-cell activity mapped by every planet in the sign; and also, to a lesser degree, increases the influence of the planet ruling the sign. But increasing the activity of that part of the astral body ruled by the sign does not change the harmony or discord of the thought cells located there. It merely gives whatever thought cells are there located additional power to attract things and events of a corresponding quality into the life. Consequently, in this case, if there are other and afflicted planets in the sign occupied by the Moon, it is better to wear a Moonstone, and to associate with other things directly ruled by the Moon than with the things ruled by the sign occupied by the Moon. Usually there is felt quite a strong attraction toward gems, people, locations, etc., ruled by the sign rising in the birth chart. This also is a matter of affinity. We have certain thought cells quite active, and when we contact other things with the same vibratory rate we experience a distinct, and often quite pleasant response. But whether or not the association with things ruled by the rising sign will prove beneficial depends entirely upon whether planets in this sign, and the ruler of this sign, in the birth chart, are harmonious or discordant. If there is a severe affliction in the first house of the birth chart, it is best to associate as little as possible with the things ruled by that sign. The point I am trying to make here is that all twelve departments of life, which embrace every kind of endeavor and activity, correspond to the sections of the astral body mapped by the positions of the zodiacal signs on the mundane houses of the birth chart. Therefore, the thought cells of any particular department of life can be given added activity by associating with the things ruled by the sign corresponding to them in the birth chart, or by associating with the things governed by the planets in the appropriate house of the chart. But whether this added activity of the thought cells will prove beneficial or not is determined by the harmony or discord of such sign and planets in the birth chart. 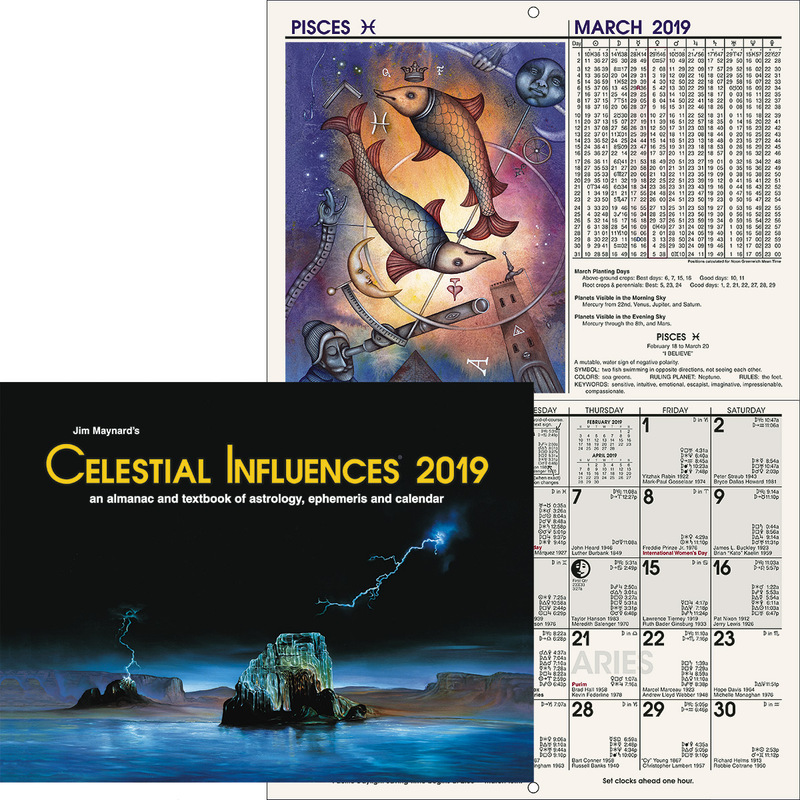 However, in any birth chart it is possible to select some influence that is more favorable to any department of life, and some influence that is more adverse to such department of life. Consequently, no matter in what direction one desires to have more success, it is possible to increase that success by proper vibratory association. But any such selection must be made with a view to individual requirements, and not because in a general way certain things are lucky and other things are unlucky. And not simply because the individual happens to like some association very much. We can say that strawberries are very good food. Yet if some persons eat strawberries they break out with hives. Yet these people that break out in hives when they eat strawberries are sure to like them quite as much as other people do who suffer no inconveniences from them. As a matter of observation, people usually like, and almost invariably are drawn into, activities of the type indicated by the strongest influences in their charts of birth. This is a valid operation of the law of affinities. The more active a group of thought cells is the more power it has, working from the inner plane, to bring events such as it desires into the life. If the group desires events which are beneficial to the individual, well and good. But, as is the case when the group is mapped by a heavily afflicted planet, if the thought cells desire and work for events which are inimical to the individual, activities of the type indicated by them afford special facilities for them to bring into the life disastrous events. The very people, for instance, who should avoid danger, often take the keenest delight in wild hazards, and thus early meet a violent end. There are things, of course, and people, whose vibrations are of such a nature that we feel uncomfortable in their presence. These discords are obvious, and should be avoided. But more people suffer loss through friends, acquaintances, and confidence men whom they really have liked than through the influence of those toward whom there is a strong magnetic antipathy. Now coming back to the vibratory influence of abstract ideas, just how much energy are we warranted expending in the selection of proper numbers? The number of the house on the street, or the number of the room in an office building, or the number of a post office box, usually stands out in the mind quite apart from the name of the street, building, or post office. As commonly visioned, I believe, the number is the important element of such an address. And when many people think of this number each day in association with the person using it, that person receives quite a bombardment of thoughts of the particular vibratory key of the number. Also, he becomes accustomed to think of himself as associated with this number. And in this case the number has quite an appreciable affect on him. Then when an individual is called by telephone many times a day, those calling him think of him while calling the number. In our cities it is customary to have a name as a prefix for the telephone number. If it is a dial telephone, only the two first letters of the prefix are dialed. Nevertheless, in answering the call, in listing it in the directory, and usually, I believe, in thinking about it when giving the call, the prefix in full is considered as a part of the number. Consequently, in determining the vibratory key of such a telephone number, the prefix part and the number part should be added together as a single vibratory unit. And if the person is called over the telephone frequently, this vibratory rate, so often projected by thought to him has considerable influence. How it will affect him, of course, depends upon the corresponding thought-cell harmony or discord in his own astral organization. But how often do people think of an individual in association with the license plate number of his car? When I am called upon to write the license plate number of my car, I usually have to pause a moment to remember it. When I go into an auto park after the car, even though the park is full of other cars, I seldom glance at the license plate. I recognize the car as I would a horse or a cow, by its familiar features. Of course, some people may recognize their car only by looking at the license plate, and should I be in doubt, I also look for the number. But ordinarily I do not often think of the number, and therefore, insofar as my thinking is concerned, it has little power to influence me. As to the influence of others thinking this number in connection with me, I do not think I have half-a-dozen friends who remember the license plate number of my car. And although I see the license plates that approach and pass me on the road, and those of cars going ahead of me in the same direction I am going, I do not read these numbers. The common extent of my observation is to notice when the color of the plate denotes it was issued elsewhere, and when this is the case to notice the state in which it was issued. I am aware there may be others who always read the license plate numbers. In so doing they may also think of the occupants of the car, and waft to them thus the vibration of the number thought about. But I am inclined to believe that if attention enough is given to the number of a passing car to fix it in the mind, that the car will be gone before there is any very clear picture also in the mind of its occupants. Or if attention is given to the occupants, that the number on the license plate will undergo at best but a faint recognition. I do not wish to imply that under certain circumstances the number on the license plate may not be so frequently and clearly associated with the occupants of the car, or its owner, that it produces a quite discernible affect. But under ordinary circumstances I am inclined to believe that the influence thus exerted is rather small. Yet people will go to unusual extremes sometimes to get a number for their license plate that vibrates to some particular rate. I grant that it is better to have a number that is harmonious to one than a number that is discordant. But to fear to ride in a car because it has a certain license plate number, or to insist that a garment shall have just a certain lucky number of buttons, is very close to the excessive fear or reverence which may be termed superstition. In the attention we pay to imponderable forces we must learn to use discrimination. We must learn to gauge the comparative power of these influences, so that we may not spend much energy on those which are inconsequential. The power of names and numbers resides in the thought energy of those who think them. Consequently, in gauging their importance, the frequency with which they are thought, the thought power of the individuals thinking them, and the directness with which, through association, they are sent to the individual, all must enter into the calculations. But in our contacts with people, we have both the characteristic vibration of the individual and the thought attitude toward us to consider. That is, like localities, plants, gems and domestic pets, people have a vibratory keynote. And in addition they have within their astral forms various thought-cell groups which radiate characteristic energy strongly. Furthermore, people think, and the thoughts they radiate each has its own vibratory rate. Unlike a name or a number, the thought radiation of a person is capable of quickly changing from one rate to another. Thus a person whose astral organization is quite harmoniously attuned to our own, and from whom commonly only such radiations are received as are highly beneficial, might for some cause become highly critical of our conduct, or even have a strong thought of enmity. And so long as such a thought was strongly projected against us, we should be bombarded with energies that would have a destructive effect upon us. There are limits within which we can select our human companions. Had we the power to choose it would be better to associate closely only with people whose strongest vibratory rates were of the same key as harmonious thought cells within ourselves. From a vibratory standpoint, how one person will influence another, and which departments of life will be most affected, can be learned from a comparison of birth charts. But the birth charts of our close associates are not always accessible; nor even so, is it always possible to choose whether or not we will associate with some person. Not infrequently those of the same family are not altogether harmonious, yet have obligations that do not permit them to live apart. Sometimes, in the business world, people are compelled to work in the same office or shop with others toward whom they can feel only something of antipathy. And also, those who commonly are quite harmonious toward an individual may be subject to periods during which their thoughts are violently destructive. We should, of course, choose our associates with considerable care, whenever this is practicable. But when such choice is impossible, or can only be made at too great a sacrifice, we should know how to prevent being unduly influenced through such contacts. A life of usefulness does not permit us to be too egocentric. The advancement of society requires the friendly cooperation of many rather closely associated individuals. To become too sensitive to the character vibrations, or to the more temporary thought vibrations, of others is to suffer; and to withdraw from close cooperative effort is to prove selfish. Consequently, in the home, in the business, or in more public contacts, it is very desirable to get along with people toward whom no natural sympathy is felt, without undue friction. In protecting ourselves from any sort of thought influence, we can do so very effectively by assuming a cold, unbending, firm attitude of mind, and resolutely turning the attention to something else of interest. In this manner we break the connection, and the thought impulse recoils from our astral body without setting up changes in it. So long as we are in the presence of some person, object, or even astrological energy, if we were to hold this cold, unbending, inflexible attitude toward it, we could deflect its influence. But to continue in such an attitude would also shut out other energies which are beneficial. If we must enter some obnoxious place temporarily, or if we are brought into contact with some inharmonious object temporarily, we can shut its vibratory influence out, just as on entering a place filled with smoke we can shut the smoke from our lungs by holding our breath. But holding our breath has its limit of usefulness, and assuming so chilly an attitude toward our immediate environment is also quite undesirable. People will cooperate with us only when they feel that we are friendly, and if we are coldly aloof and reticent they are sure to feel that we are unsympathetic. But there is another technique that we can apply quite effectively during the time we must remain in the company of those toward whom there is some antipathy, in the company of those who for the time being are angry, critical, fearful, despondent or otherwise radiate destructive thoughts, or while we remain in any environment, or in the presence of any thing that we have reason to believe, either from a knowledge of its astrological signature, or because we sense it, is detrimental to us. Under such circumstances we are not warranted in severing the vibratory connection completely. We cannot, for instance, act with cold and calculated indifference toward our employer. Even though the locality where we are employed has a vibration inharmonious to us, it may be quite necessary for us to work in it. If husband or wife periodically flies into a temper, or grows morose and despondent, it is neither expedient nor good policy usually to go elsewhere until the storm blows over. There is, however, a Jupiterian technique that can be used in such situations. Many a wife and many a husband have learned this technique without other instructions than the necessity of getting along with the matrimonial partner. And many a partner and many a subordinate in business have learned, not only how to get on with the partner or chief, but also how to do so with least inconvenience to themselves. This mental attitude, which can be cultivated and held indefinitely without shutting entirely out the character vibrations or the thought vibrations of others, is neither negative nor submissive. It is rather jovial and cheerful; an attitude that expresses itself in a smile and in kindness. It refuses, however, to take any notice whatever of unpleasantness. It refuses to argue or complain. It looks upon life as good. If others display a nasty disposition, or if the environment is discordant, they are tolerated pleasantly and kindly. But no attention is paid to discord. This sweetness and pleasantness is not to be just on the surface, it must be felt. And it must be maintained with some positiveness. The object is so to saturate the astral body with cheerful, kindly, optimistic thought vibrations that every thought vibration reaching it from the outside will be given an incidental polarity that is harmonious. The basic rate of the vibration received is not thus changed. A Mars vibration still remains a No. 16 vibration; and a Saturn vibration still remains a No. 15 vibration. But because the attitude of the person receiving these vibrations is calmly, cheerfully and radiantly positive to them, whatever discord they were originally endowed with by the one who sent them forth, or that they characteristically had, has its incidental polarity changed as it comes in contact with this pleasing thought energy that suffuses the astral form. Therefore, this energy, while it adds to the activity of certain thought cells within the astral form, at the same time, through the Rallying Force induced, increases their harmony and gives them additional power to attract conditions that are beneficial. Now the imponderable forces that have some influence over us are of three distinct categories: 1. Character vibrations; which are the radiations of people, objects, and energies, due to the organization of their finer bodies. 2. Astrological vibrations, which reach us directly from the planets and zodiacal signs. 3. Thought vibrations. A person radiates energy of the vibratory quality of the thought cells already organized by states of consciousness in his astral form, whether he is engaged in active thought or not. This is his character vibration. But in addition to this, if he is thinking intently about some specific thing he is radiating a thought vibration of a definite key, which is something separate from his character vibration. Mechanical objects, localities, and colors all have character vibrations, but practically no thought vibrations. Their affect upon a given individual can be determined as to kind by noting their astrological rulership, or vibratory key, and how it stimulates his thought cells, as pictured by his birth chart. The amount and importance of their influence on the individual requires careful discrimination to determine. Other things, however, in addition to character vibrations have thought vibrations due to the temporary activity of either their conscious or their unconscious minds. Among minerals, gems have the most intense thought vibrations; and these are directed toward benefiting the wearer if the stone feels the sympathy which is aroused by harmonious thought cells of its own key within the astral form of the wearer. Domestic pets, such as cats, dogs, birds, and even horses have a thought vibration, aside from their character vibration that, while of the unconscious mind, nevertheless may send energies of devotion and good will with much power to the one they love. The flowers and shrubs of the garden, also, if tended with loving care, respond with quite potent thought vibrations. Few people realize the benefits they derive from the thought treatments of the various lower-than-human forms of life which they love, and which respond by sending them inarticulate, but nevertheless very potent treatments of love and well wishing. The one who ministers sympathetically to make the lives of plants and animals happy, commonly receives full value of benefit for energy thus expended. Data obtained from him personally by his friend. 1929, first screen success: Mars trine Saturn p.
1930, established as screen actor by his performance in All Quiet on the Western Front: Mercury inconjunct Jupiter r.
1931, married (divorce later): Mars conjunction Venus r.
1933, married (divorce later): Venus semisquare Mars r.
1940, made screen comeback: Venus opposition Neptune r.
1942, conscientious objector, when drafted asked for noncombatant service, which was granted after several months in conscientious objectors’ camp: Venus conjunction Uranus p.
1944, distinguished himself as noncombatant in Medical Corps during invasion of Philippines: Mars inconjunct Neptune p.
December 1, 1891, 12:02 a.m. LMT. 75W10. 40N. 1936, with the January issue, under the pen name G. R Bay, became managing editor, later also editor, Student Astrologer Magazine. He gained outstanding writers and built up a large circulation. The periodical contributed markedly to the spread of astrology, but financial difficulties arose. Venus was still sesquisquare Neptune and Pluto when he made the deal, and was square Mars p when the difficulty arose. 1937, leaving Student Astrologer he helped promote and became the editor of International Astrology Magazine, which had a run of about 200,000 copies each issue (128 pages a copy). A good magazine, starting with February, 1937, it ran nine issues and then failed financially: Sun square Mars r.